Frank Addington, Jr., takes aim at aspirin at the W.Va. Hunting and Fishing Show. 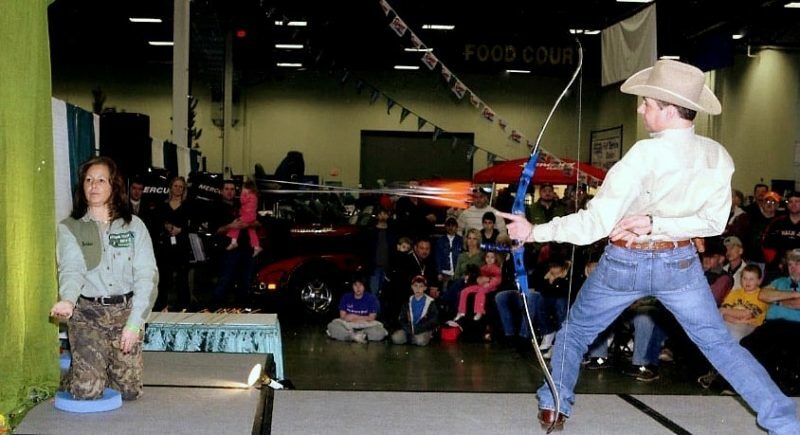 Frank Addington Jr.’s Amazing Archery Show returns to Charleston to headline the annual West Virginia Hunting & Fishing Show, set for January 25-27 in the newly renovated Charleston Convention Center. Produced by the West Virginia Trophy Hunters Association, a non-profit group dedicated to the conservation of wildlife and the preservation of hunting and hunters’ rights, the show will feature more than 240 exhibitors, according to spokesman Jim Strawn. More than 15,000 people have attended the festival in recent years, though Strawn said Addington’s appearance, sponsored by West Virginia State Parks, is expected to attract larger audiences this year. 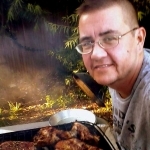 Addington now lives in San Antonio, Texas, but was raised in Winfield, West Virginia, in his family’s retail-archery business, Addington’s Bowhunter Shop. He first appeared on stage at the West Virginia Hunt Show in the late 1980s and performed along with the late Rev. Stacy Groscup. Addington went on to become the first archer in the world to hit baby aspirin in mid-air with his Hoyt recurve bow behind his back. “This is a family-friendly show that encourages the next generation to shut-off the television, video games, and computers and get outdoors,” Strawn said. Addington will perform daily at the the show, though his performance schedule will be announced later. Now in its 32nd year, the show also features seminars by Fur Seekers, the W.Va. Raptor Rehabilitation Center, the W.Va. Department of Natural Resources, and Patrick Hoover of Scent Control Outdoors. Friday January 25 / Noon – 9 p.m.
Saturday January 26 / 9 a.m. – 9 p.m.
Sunday January 27 / 9 a.m. – 5 p.m. Admission: Adults $9 / Children 6-12 $1 / Under 6 FREE.